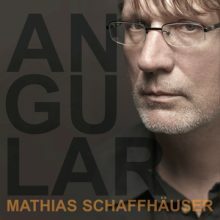 Knowing the music of Mathias Schaffhauser, means knowing, that he likes to adjust his creative angle. „Angular“ is a spontaneously formed album with ten tracks full of twisted ideas that cannot be compared with anything in stores. Schaffhauser left the production to chance and madness, relied on his instincts regarding grooves and unconventionally adjusted his equipment in respect of rhythm and atmosphere.